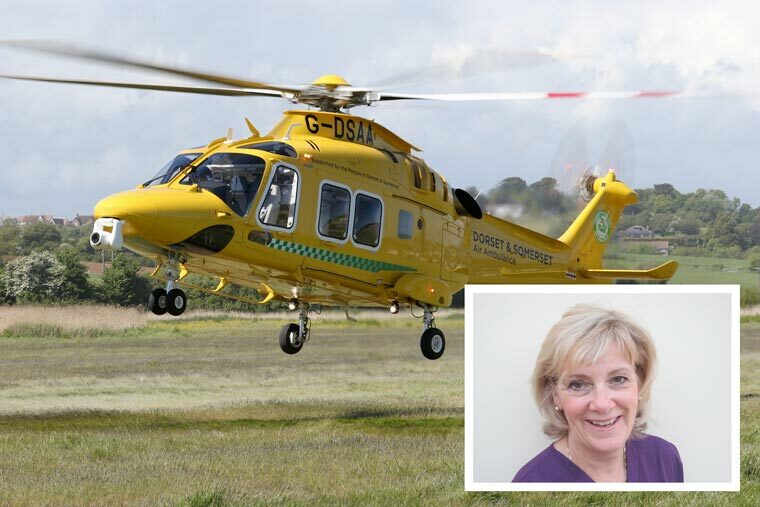 Dorset and Somerset Air Ambulance has announced the appointment of Gillian Bryce as their new Chair of Trustees, taking over from from Roger Morgan. Gillian Bryce has been a member of the Board of Trustees for the charity for nearly four years and took over the reins from Roger Morgan who has officially retired after nine years as a Trustee and the past three as Chairman. Gillian graduated in medicine from Glasgow University in 1980 and became a fellow of the Royal College of Surgeons in Edinburgh four years later. She was appointed as a consultant in Accident and Emergency Medicine at Musgrove Park Hospital, Taunton in 1992 and was medical director of the South Western Ambulance Service between 1994 and 2009. Gillian has been involved at a national level in training and guidelines for paramedics and has been interested and involved in pre-hospital medicine throughout her career. Bill Sivewright, Dorset and Somerset Air Ambulance chief executive officer said, “We are fortunate to have a Board of Trustees with so much enthusiasm, professional experience and knowledge, and from a variety of sectors; a key element when you are providing a service such as ours. Our sincere thanks go to Roger for his dedication and commitment over the years. Gillian has already served very successfully as a Trustee for the charity for nearly four years, where her clinical expertise has been invaluable in helping the Board develop its strategic vision.